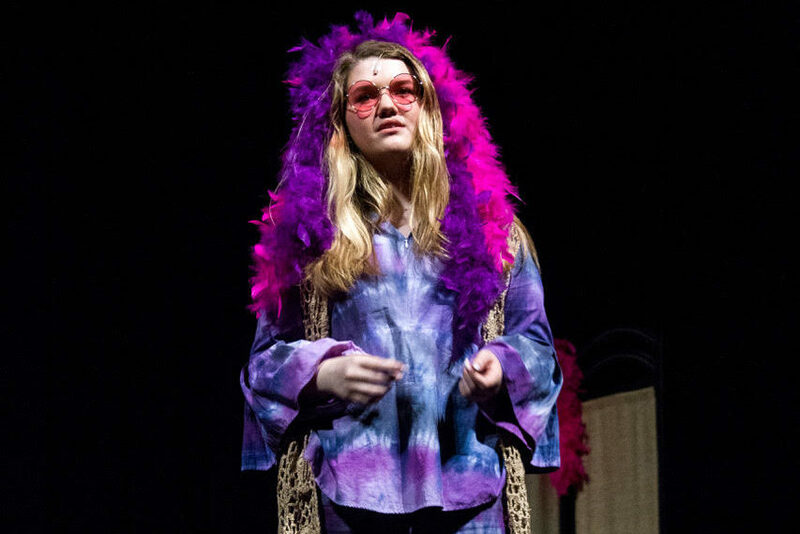 Coppell High School senior Maddie Purser portrays singer Janis Joplin at the CHS Senior Showcase on Saturday Night. Seniors of the CHS Studio Premier class wrote, directed and acted their original one-man shows. photo courtesy Little Miss Lazy Daisy Photography. 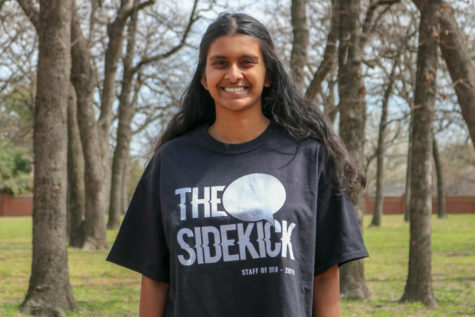 The lights dimmed, Coppell High School senior Maddie Purser entered the stage and the audience became immersed in her words. 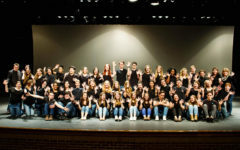 After a semester of hard work, the seniors of the CHS Studio Premier class performed their original one-man shows in the auditorium on Saturday night. Each student wrote, directed and acted his or her own show that revolved around a single well-known person, usually deceased. 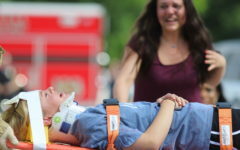 They have spent many hours working on the show in class, and for the last couple weeks have had after school rehearsals until 8 or 9 p.m.
“It’s been very time intensive, but it was very worth it,” Purser said. 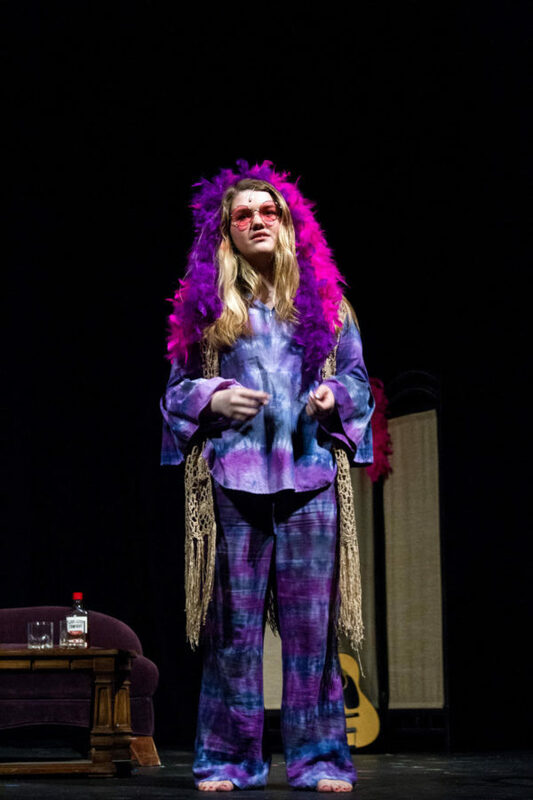 Purser was the first to perform, with her scene revolving around singer Janis Joplin’s drug addiction. Senior Macy McCready followed, passionately portraying Princess Diana. For the third show, senior Katie Love made the audience’s jaws drop with her vibrant depiction of Coco Chanel, which focused on how Chanel’s childhood shaped her into a very cut off and guarded person. Love, who has been interested in theater since kindergarten, has always found Chanel intriguing. After senior Madi Olney’s show about Corrie Ten Boom, senior Isabelle Candler wrapped up the evening with her performance revolving around comedian Lucille Ball. Candler has been involved in the technology aspect of theater since seventh grade and is planning on pursuing it in college, but this was her first time acting on stage. 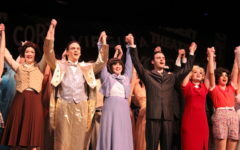 For many students in theatre, their favorite aspect of the program is the friendships they form.